The architecture, expert report and engineering studio Aperi Proyectos S.L.P. 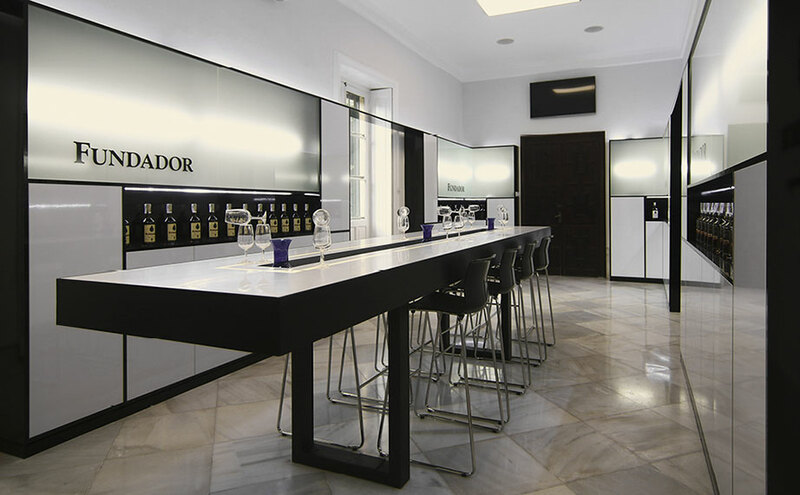 has been chosen to carry out this project, creating the new enotourism centre of Bodegas Fundador in which the compact mineral of PORCELANOSA Group, KRION® has been used. Bodegas Fundador was established in 1730 in Jerez de la Frontera, Cádiz, Spain, with the purpose of producing and commercialising Jerez wine, and in 1874, Fundador, the most international brand of Jerez Brandy was created. Almost 300 years of history and good work has led the company to reinvent itself and continue innovating to be at the cutting edge. With this ambition, they have created the new enotourism centre, providing all of the knowledge acquired in these three centuries of history to visitors who wish to know more about wineries. The Aperi studio chose the solid surface KRION® for this project because of the intrinsic characteristics of the material, requiring a material which was durable, antibacterial (ours does not use additives), easy to clean, and which was not affected by chemical attacks. All of these qualities and much more are the cornerstones of our material. We can find KRION® in the bars, tables, units and vertical coverings, all in the Snow White 1100 version.